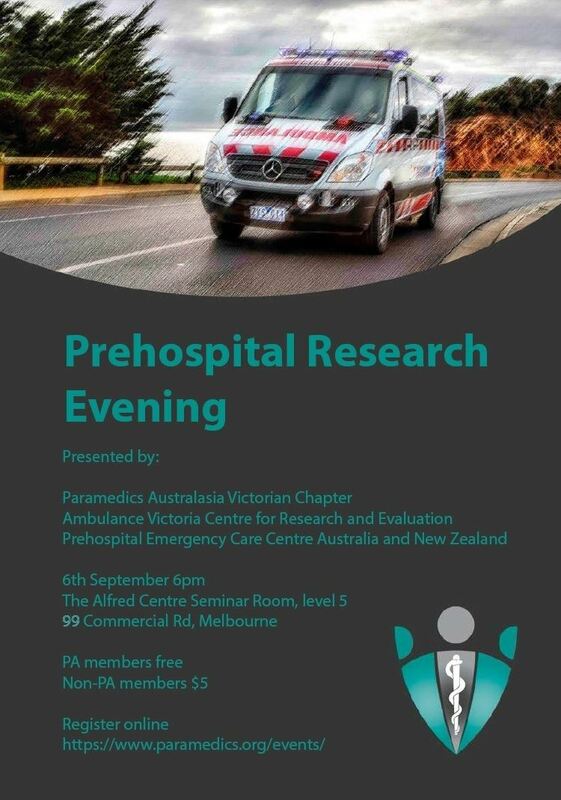 Paramedics Australasia Victorian Chapter in collaboration with AV Centre for Research and Evaluation and the Prehospital Emergency Care Centre Australia and New Zealand present a Pre-hospital Research Evening. Come and see what researchers in our state are studying. 10 minute presentations from researchers studying in Victoria.